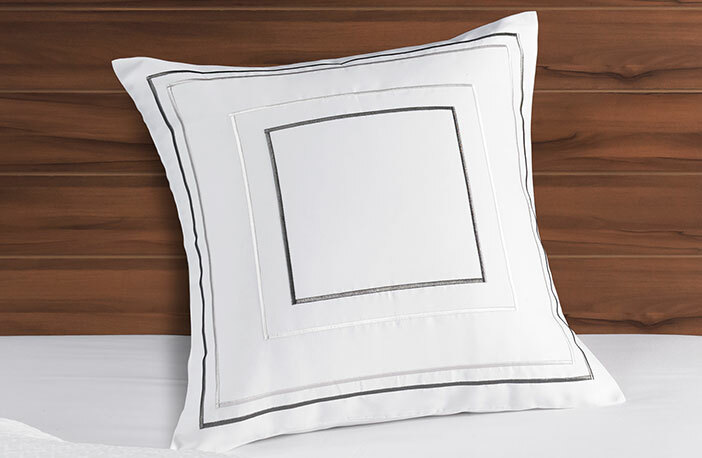 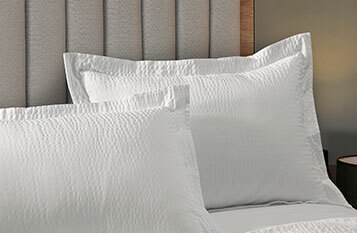 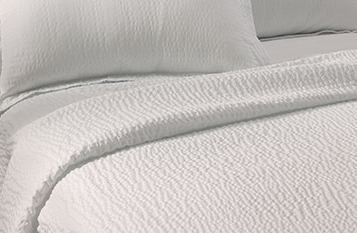 When paired with coordinating Courtyard textured linens, our Frames Throw Pillow creates an elegant, cohesive look in your bedroom or guest room as the perfect accent to the Courtyard Bed or any bed décor. 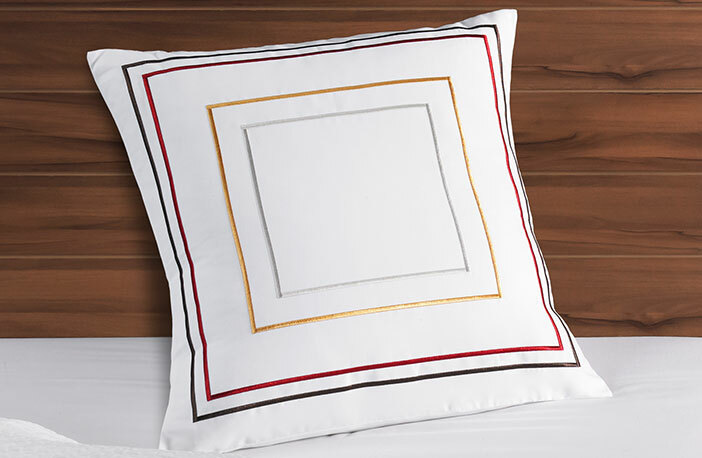 Each are finished with a decorative cover featuring graduating shades of embroidered colors in square patterns. 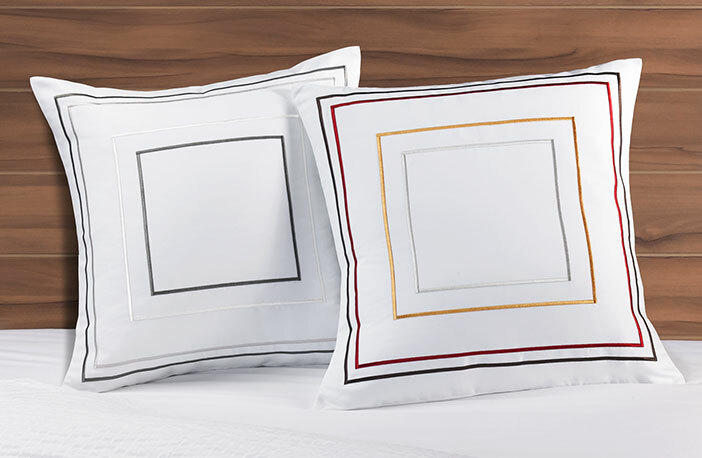 Choose from Grey (various shades of grey) or Multi-Color (shades of grey, gold, red and brown).